Fig1. 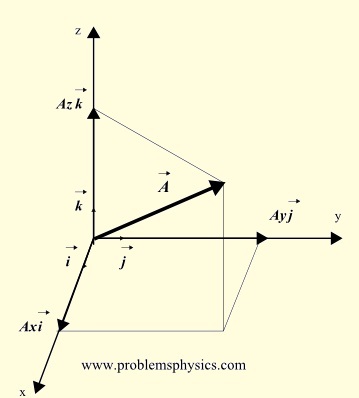 - Vector in 2 dimensions. A vector is a mathematical concept to quantify, or describe mathematically, quantities that have a magnitude and a direction. Force, velocity and displacement are examples of quantities that have magnitude and direction and may therefore be described using vectors. Vectors in one dimension describe quantities along one direction and its opposite. Vectors in two dimensions describe quantities in a plane, and vectors in three dimensions describe quantities in 3 dimensional space. Fig2. - Vector in 3 dimensions. The magnitude of a 2-dimensional vector is 10 and its direction θ = 135 °. 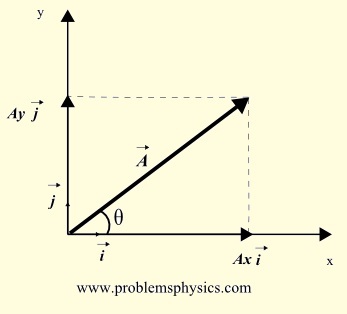 Find its components Ax and Ay. Vector B makes an angle of 300 ° with the positive x-axis in counterclockwise direction.